This month it seems I had to struggle a little more to find stories that appealed to me, and especially to find stories that really stood out for me. Part of it may be that I wasn't reading with award nominations in mind, so I wasn't particularly guided by others' recommendations this month. Instead I just followed whatever whim I felt at the moment, and ended up reading a fair few media tie-in stories as well as several mainstream or literary instead of genre stories. In the end, I read another 39 stories, and gave quite good ratings to a lot of them, but I'm only listing the following three as true stand-outs for me this month. Interestingly, one of the three is mainstream rather than science fiction or fantasy, and the two genre stories are flash and microfiction, respectively. Also, I've made one other change to the way I'm doing this post: in addition to listing every story read, I'm listing all the venues in which I read them. 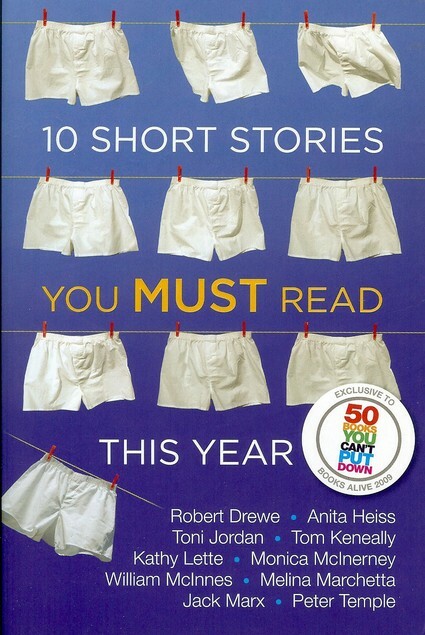 This story appeared in an anthology published in 2009 by the Australia Council titled 10 Short Stories You Must Read This Year. While I found the other two stories I've read so far in this anthology to be a bit forgettable, this particular story is one of the most disturbing I've ever read, and I won't be forgetting it any time soon. The story consists of a letter written from an older alcoholic to the beautiful young woman who was unfortunate enough to marry him. As the story begins, it's easy for the reader to assume it will simply be a lament from a man who knows he's ruined his life, but it turns out to be far more than that. (SPOILERS AHEAD) It's actually about the sick way in which an addict may try to justify his behavior, beginning with a "harmless" lie he tells to his future wife the first time they meet, to increasingly abusive but always well-disguised behavior. At one point early in the story, I was concerned that the author was trying to show that the protagonist wasn't really that bad a guy, just a victim of his addictions, but now I'm convinced the author's intention was actually the opposite -- I think he wanted to show us what an utterly horrible person the protagonist was and remained to the point when he wrote this letter. And that any so-called "justification" for his behavior was entirely invented and irrational. Before reading this story, please be aware that the domestic abuse is very disturbing. Seriously, every time I learned about something new the protagonist had done, I thought it couldn't get worse, but then it did. I'm glad I read this story, but it left me feeling very unsettled. I gave it such a high rating because I think the author crafted it brilliantly, in order to take me along the exact mental and emotional path I traveled from the beginning of the story to the end. The craft displayed was impressive. This story is technically flash fiction, but it feels like more. It's a simple, thoughtful, first-person narration by a person who was born on and will die on a generational starship. Such a simple concept, but so well written. Of course, we don't have any say as to when and where we're born either, but it was interesting to imagine what it would be like to be born in that particular situation. 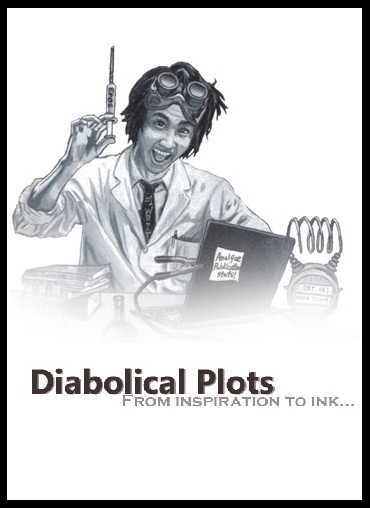 You can read the story here on Diabolical Plots. 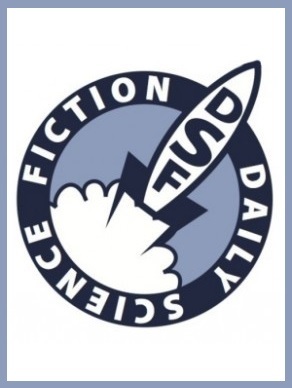 This story isn't just flash, it's microfiction, at only 199 words. And it's a single sentence -- something I didn't even make note of until I read the author's comments on the origin of the story. It's so short I don't want to say anything about the subject matter; just go to Daily Science Fiction and read it here. Seriously, it will only take you two minutes or less! Anyway, I think it's a clever exercise that also tells a story, or at least part of one. I thought the length was just right for what the author was trying to do. The current season kicked off last night with a two-hour premiere consisting of two episodes. In the first, twenty contestants initially believed they had made it onto the show, when Gordon dropped the bomb on them that nope, there was another bunch of contestants with whom they'd each be competing in head-to-head challenges to win the right to wear an apron and really-truly-this-time-we-promise get on the show. Seriously, is that kind of thing really necessary? I didn't mind the head-to-head challenges, especially because they matched chefs by similar types of signature dishes: seafood against seafood, dessert against dessert, etc. But to me, the only thing the show added to the mix by springing it on people who really thought they'd already achieved something (assuming the whole element of surprise wasn't faked) was meanness. I made it through the first head-to-head challenge before turning off the show. A woman named Claudia made a Mexican shrimp dish to compete against a man in a bowtie who presented shrimp and grits. Speaking of bowties, several of the potential contestants seemed to have carefully cultivated "looks" to make themselves stand out, including a woman who dressed like a Mad Men-style housewife. I prefer chefs' coats. Naturally, the first two judges to give their opinions were split: Christina Tosi, who replaces Joe Bastianich as judge this season, chose the shrimp and grits, while Gordon preferred the Mexican dish, leaving the decision up to Graham Elliot. As is their wont, the show cut to commercial just as Graham was about to announce which of the two would get the apron. This is annoying enough when they do it for big decisions later in the seasons, so it was really irritating here, especially because it means they repeat footage and dialogue when they come back from the commercial break. Got it the first time around, thanks! And then the thing that I dislike the most about competition shows happened. Graham told the man (sorry, I didn't catch his name) that his dish was good, then said to Claudia "I'm sorry...." And just as she was about to start crying because she thought she'd been kicked off, he continued, "... but you're going to have to stick around a little while longer." I hate this crap. All reality shows are fake drama, but this is contrived, manipulative, unkind, invented drama. Reasonably intelligent audiences (not that that's what reality TV is aiming for) don't need that stuff to enjoy a competition show. And this was just for the first head-to-head challenge between contestants who technically aren't even on the show yet! It does not bode well for the rest of the season. I was also put off by the ridiculous amount of time devoted to the aftermath of this "momentous" outcome -- it looked like the show was practically throwing the woman her own parade. And there were still 21 more head-to-head challenges to go! So no, I won't be watching MasterChef. 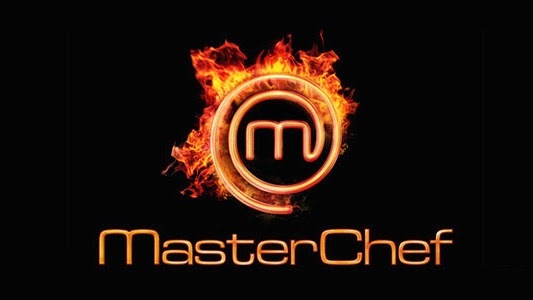 I did watch an entire prior season of MasterChef (Season 4, when Luca Manfè won), and I enjoyed it for the most part. But not enough to put up with another whole season of contrived dramatic moments. I'm going to stick to the (in my opinion) much classier Top Chef. In all fairness, I have to admit that Top Chef sometimes sinks to that level of deliberately misleading the contestants and audiences when announcing winners and losers. But they don't do it nearly as often as other shows. I also have to concede that MasterChef's style obviously works for a huge number of people, as evidence by the many offshoots under the MasterChef brand all over the world. It really is a billion-dollar empire. It's just not for me. Read more! Last Monday, we attended the Houston Grand Opera Patrons Recital and saw Nathan Gunn, accompanied by Julie Jordan-Gunn, singing a wide variety of pieces, from operatic staples such as the Toreador song from Carmen and Papageno's suicide aria from The Magic Flute (spoiler alert: it has a happy ending) to western ballads and folk music, including "Home on the Range" and "Shenandoah". It was especially fun for us to see Nathan Gunn in such a small venue, because we were about to see him in the title role of HGO's Sweeney Todd later in the same week. I'm happy to say that this was another case when I was unsure whether I would like a production but then was blown away; it happened earlier this season with Otello and it happened again on Friday with Sweeney Todd. I haven't been overly enthusiastic about HGO's recent trend of adding one or two shows each season that seem to be musical theater rather than opera; I rarely go to TUTS (Houston's Theatre Under the Stars, i.e. traveling Broadway shows) and that's by choice. I didn't care for HGO's Show Boat last season, in part because it took what I think of as a formula musical and added the operatic style, which seemed unnatural in that context. But regardless of my personal taste, I understand why HGO chooses some of these shows, and I think it's smart on their part. These productions have the potential to bring in folks who don't normally attend the opera, and I'm sure it's also fun for long-time opera buffs who are also nostalgic for classic musical theater. Unlike with Show Boat, I had at least seen the movie Sweeney Todd and so I knew it wasn't precisely a formula musical. The movie wasn't brilliant, in part because much of the casting had little to do with musical ability, but at least the story was interesting. So I thought this production would probably be okay as long as it didn't try to shoehorn too much "opera" where it didn't belong. It turns out I needn't have worried. Not only did it have what felt like the right amount of opera (Johanna's solos were the most formally operatic), the story was even less formula than I remembered from the movie, and far more engaging when seen live. In spite of the subject manner, HGO's production refrains from going over-the-top, whereas the movie version, created by Tim Burton, takes place in Burton's signature Over-the-Top Land. I don't mind visiting Burton's imagination sometimes, but in this case, the only aspect I liked better in the movie version was that Toby was cast as a quite young boy instead of a young man. I felt that made Mrs. Lovett's maternal attitude towards him more believable and more poignant. I also preferred having a "young boy voice" advertising first Pirelli's haircuts and later Mrs. Lovett's amazing meat pies, although that is not the fault of tenor Nicholas Phan, who played Toby in this live version. As for HGO's production, I particularly loved several individual performances. Nathan Gunn is not only the perfect baritone for the part, he's the perfect showman: voice, expression, body language.... The entire time I watched him, I marveled at his precision and control. 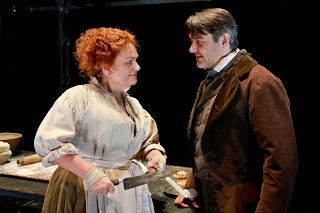 Susan Bullock played Mrs. Lovett, Sweeney Todd's somewhat bloodthirsty accomplice. And hey, here's another clue to that opera versus musical question: her bio in the program says that "Her HGO performance as Mrs. Lovett in Sweeney Todd represents her first foray into musical theater." At least she, then, considers this musical theater rather than opera. In any case, she certainly was a comedic natural in the role, and the audience ate up her (possibly ad-libbed?) humming of The Ride of the Valkyries as she wearily ascended the steps up to Sweeney Todd's barber shop above her own establishment. Another notable performance for me was Megan Samarin as Johanna, the innocent ward of the lascivious Judge Turpin. (We're going to see Ms. Samarin as Lady Columbia in HGOco's September 2015 world premiere of O Columbia, and I for one cannot wait. We've observed several workshop sessions throughout the creation of this opera, and it's going to be stunning.) Bass-baritone Jake Gardner was well cast as the aforementioned Judge Turpin, and I was thrilled with tenor Scott Quinn as Pirelli. His diction was unbelievable, and his control was equal to Mr. Gunn's. I should also mention the set and costume design, by Tanya McCallin. Although small parts moved around now and again, this was essentially one set piece, used extremely efficiently. I'd wondered if they would use some kind of sliding chute to transport Mr. Todd's victims to Mrs. Lovett's ovens, and indeed they did. I also thought the "blood" effects were just at the right level -- clearly visible from the furthest seat in the house, but none of the excessive spurting that Tim Burton loves any excuse to use. On a side note, while I love our particular ticket series for the opera (called "mostly Fridays"), it does come near the end of each run, and I regret that by the time I get to see a production and post a review, it's usually too late to urge other people to go see it. I wish I could tell everyone to go see HGO's Sweeney Todd. If you ever get the chance in the future, don't miss it. Click here for a detailed review and some background about this production by Opera Warhorses. [Top photo: Susan Bullock as Mrs. Lovett and Nathan Gunn as Sweeney Todd. Photo property of Houston Grand Opera. Bottom photo: Megan Samarin as Johanna and Morgan Pearse as Anthony. Photo from Megan Samarin's Twitter feed]. Not having seen the Ring Cycle before, I can't compare this with other productions, but I find it difficult to imagine that I would find another interpretation more exciting than this one, which is modern and sophisticated. 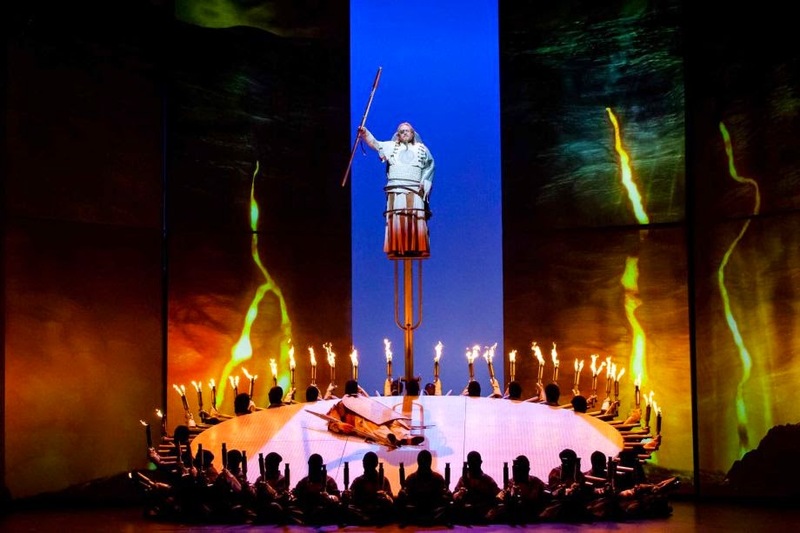 An article in the Opera Cues program written by conductor and Artistic/Music Director Patrick Summers notes that "all of the imagery of the Fura Ring production comes from ancient literature ... if the production resembles science fiction it is only because science fiction shares some of the same sources as the Ring mythology." He continues: "The technological conveyances are modern, like video or Lege's Segway, but their symbolism is not: Wagner's visual imagination was generations ahead of what was physically possible in his era...."
I'm glad to have read that, because it gives me context, yet I still feel free to experience this Ring Cycle as science fiction. I'm new enough to opera that I'm not confident about my opinions, but I can and do talk about science fiction all day long, and I'm becoming more interested in and comfortable with fantasy literature as well. For me, then, this is the best of many worlds. At some point I really should talk about the opera itself, though! In Das Rheingold, the dwarf Alberich steals gold from the Rhinemaidens (I will never forget the singers in those water tanks!) and forges it into a ring to make himself invincible, which works ... for a while. Wotan, chief of the gods, steals the ring from Alberich but then has to use it to pay the giants Fafner and Fasolt for building Valhalla, the fortress of the gods. In Die Walküre, Wotan has since fathered nine daughters, the Valkyries, with the earth goddess, Erda. With a she-wolf, he has also fathered the twins Siegmund and Sieglinde, but separates them because he hopes that will enable them to one day recover the gold ring for him. The opera begins when Siegmund and Sieglinde, now adults, meet and fall in love, not knowing at first that they are siblings. Sieglinde's husband, Hunding, demands that Siegmund fight him the following day, and Sieglinde shows him a sword embedded in a tree that no man has been able to pull out. In retrieving the sword, Siegmund realizes Sieglinde is his sister, but still claims her as his bride. In Act II, Wotan tells his daughter, the Valkyrie Brünnhilde, to protect Siegmund in the coming fight. 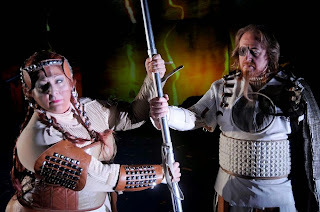 Wotan's wife Fricka, however, demands that Wotan champion Hunding instead, so Wotan tells Brünnhilde he has changed his mind. She plans to obey, but when Siegmund tells Brünnhilde he will not follow her to Valhalla if Sieglinde cannot go with him, Brünnhilde sides with the lovers. Wotan appears and intervenes by shattering Siegmund's sword, allowing Hunding to kill his opponent. Wotan then kills Hunding and gives chase to Brünnhilde. The third act opens with the Valkyries gathering slain heroes, represented by a swinging "wrecking ball" draped with live but motionless acrobats (pictured at top of post). The audience literally gasped when the curtain went up on this impressive scene. The Valkyries are afraid to help their sister, and Sieglinde herself wishes she had died with Siegmund, but Brünnhilde tells Sieglinde that she is now carrying Siegmund's child and must survive. Sieglinde escapes, and Brünnhilde stays behind to face Wotan, who punishes her by making her mortal and placing her in a sleep that will last until a man awakens and claims her. At her request, he has her surrounded by fire so that only a brave man will attempt to rescue her. I know that described like this, the story sounds silly; it's hard to convey how majestic and moving it is when combined with the music, words, and sets. The music and words are probably among the most studied works in opera history, and I don't have the knowledge to analyze them properly, but I will say once again that this opera really was more accessible and moving that I would have expected. I can't wait to see Siegfried next year and Götterdämmerung the year after that, and have I mentioned that I love the way Houston Grand Opera is performing one of these pieces each year? We've been going to HGO for about five years, but this makes it seem more like an ongoing relationship rather than just something we do six or seven times a year. Some of the artists are reprising their roles in more than one of the productions, so we get to know them better, and these performances, at the end of the season, somehow each seem like the event of the year. 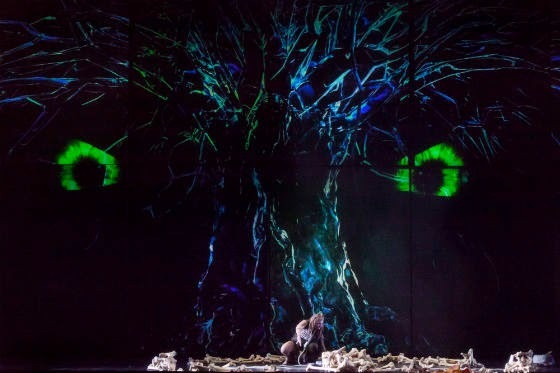 As with Das Rheingold, Die Walküre makes extensive use of video screens, showing such things as stylized wolves running through a forest (think of those motion-capture rides, just further away on the stage). The screens also showed the massive tree in which the sword was embedded; at one point the letters of Siegmund's name are drawn up repeatedly through the roots to the ends of even the smallest branches. In this particular story, there is also a fair bit of lightning on screen. And I don't know what to call them, but another effect repeated from last time was the use of conveyances for the gods and Valkyries to move them around the stage as though they were swooping at will. Even though each of these had two visible stagehands openly manipulating them, I had no trouble getting lost in the effect. (And when we see one of the giants from Dad Rheingold return next year, I hope to see his Aliens power-loader again -- it was awesome!) All of this comes courtesy of La Fura dels Baus, the Barcelona-based theater group that created this production. I note that the set designer, Roland Olbeter, is working on a "full-scale automatic puppet opera with music by Russian composer Elena Kats Chernin to be played by instruments he created" -- that sounds like something I would love. There was only one effect that wasn't quite all I would have hoped for, and that was the slow speed at which the fire-bearers surrounding the sleeping Brünnhilde lit their torches from one another. I had expected the circle of fire to swoosh up into full flames all at once, but perhaps the passing of torch to torch is meant to go with a particular length of music. Once lit, however, the circle was an impressive visual with which to end the opera, and it will certainly stay in my memory.